Our institutions are under attack. Leftists want to eliminate the electoral college and “redistribute” the allocation of Senators to restore “fairness” to the legislature, but many of them, like the socialist darling of the moment, Alexandria Ocasio-Cortez, can’t even name the three branches of government. America is overdue for a civics lesson. 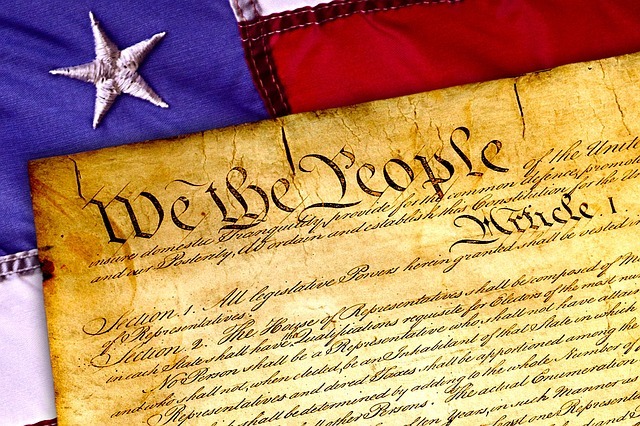 Once upon a time, students learned about the Constitution, the Declaration of Independence, and the individuals who wrote these founding documents. They learned that these laws were written - not to enable government - but to limit its influence in our lives. Sadly, but not surprisingly, the Left wants to change the Constitution because it keeps getting in the way of their quest for power. Well, I’m sorry to break it to you, Mr. Dingell, but that’s the entire point. Each state gets an equal say in the Senate, regardless of their size, to protect smaller states from the tyranny of the majority. The Electoral College, the U.S. Senate, and the Constitution ensure we all have a voice, and none of us is steamrolled by the other. Leave the Constitution alone. It’s done just fine for 229 years.